Hi, All! 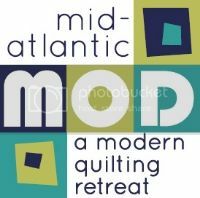 We sent out an e-mail to all registered attendees for the 2014 MOD event providing some final "follow up" pieces of information. One of the items in the e-mail was a link to a post-retreat questionnaire we developed to get your feedback to help us plan for the next one (you know there has to be a next one!). We will be giving away an Oliso Smart Iron to a randomly chosen survey participant. So go fill out the form and provide your feedback right now! The questionnaire is open until midnight Wednesday night. If you didn't see the e-mail from us last week, then check your junk mail. If you still can't find it, send us an e-mail and we will forward the information to you. Good luck, and thanks for any feedback you provide! Thanks to our prize sponsors!